This important topic is one that’s always timely and of interest to readers—especially to those just getting into skywatching. As we’ve often discussed in the past, much can be seen in the sky with just the naked-eye and binoculars. But the ideal is to sooner or later own a telescope. And you’ve come to the right place at Scientifics Direct to find one! In selecting a telescope, there are two important things to keep in mind. First, “There are good optics and cheap optics. But there are no good cheap optics.” And secondly, “The smaller and more portable the telescope, the more often you will use it” Thanks to modern manufacturing techniques, good optics can be obtained today at a much more reasonable price than in times past. But inexpensive “department store telescopes” (sometimes called “trash telescopes”) are rarely among these. 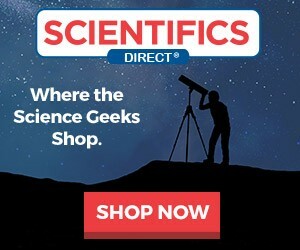 The best advice here is to purchase your telescope from a respected and well-known source like Scientifics Direct. In discussing good optics, mention must be made of the eyepieces included with the telescope. These should be what are known as “standard size” oculars having a 1.25-inch barrel rather than the inferior sub-diameter ones found on many imported scopes. (Some high-end scopes use 2.0-inch barrels in addition to the 1.25-inch ones.) Also, the telescope should have a stable mounting so it’s easy to point at celestial objects and not shake whenever you attempt to focus it. And this leads us to the vital issue of portability. I know of several newcomers to the hobby of stargazing who (against my advice) purchased a large-aperture telescope on a massive mounting that takes two people to move into place. In one case, the owner admits he was wrong in doing so and has only used the scope twice in a year! Another attempted to sell his shortly after receiving it to some college that could permanently mount it in an observatory. Especially when just starting out, go for a small-to-medium size telescope on a steady mount that you can easily move about. Keep it simple! There’s three basic types of telescopes used for stargazing: the refractor (or lens-type), the reflector (or mirror-type) and the catadioptic (or compound lens-mirror type). Many entire books have been written (one of them by myself) on the advantages and disadvantages of each type, but suffice it to say if the optics are good, each performs essentially the same size for size. Affordable small refractors and Dobsonian reflectors are good choices to start out with and allow you to upgrade to larger instruments if desired after having gained experience observing. Compound scopes are a bit more expensive even in the smaller sizes but are also good choices. Many scopes today have GoTo or computerized finding and tracking capabilities. These technological marvels certainly have their place but also require a bit of a “learning curve” to use. And to us purists, they take much of the fun out of learning the sky and “star-hopping” to targets. Here’s my advice to you: go to the Telescope Page of www.scientificsonline.com. 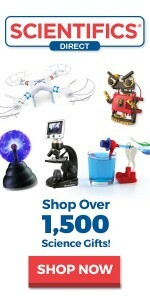 There you will find instruments for under $100 to some costing well over $1,000. Study the descriptions of those that interest you and that your budget can afford. Then go ahead and order one of these amazing “windows on the cosmos” and let your exploration of the night sky begin! In closing, a reminder: as mentioned in last month’s column, the radiant planet Venus reaches its greatest brilliancy on the evening of February 17th in the western sky after sunset and is a glorious sight throughout the month.